Enjoy our Saint Nicholas collection and discover its many figurines in 100% pure cocoa butter chocolate without palm oil. A tasty treat for the eyes and taste buds of everyone, big or small! 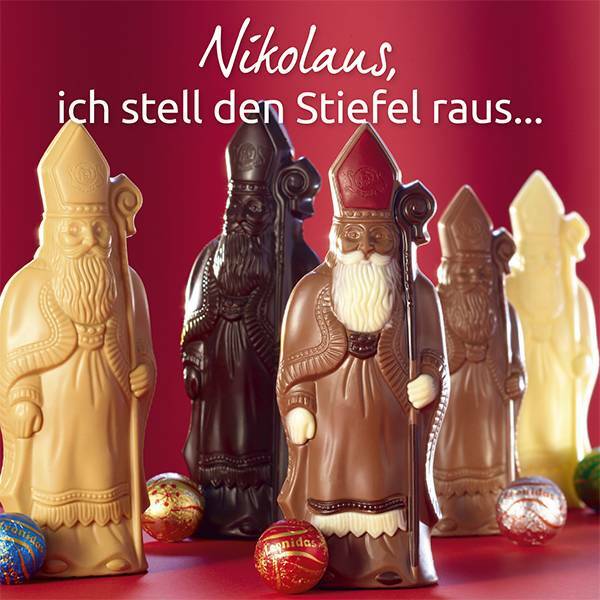 No Saint Nicholas without chocolate! Saint Nicholas is back! Discover our favourite figurines of Saint Nicholas in dark, milk and white chocolate in all sizes. All our Saint Nicolas products are made from 100% Belgian chocolate, 100% pure cocoa butter and are palm oil-free. His Chocolate Holiness is back! The season's hero! All there ready to eat! Taste our season's star chocolate!